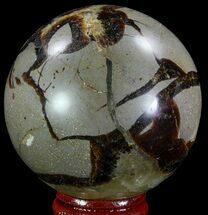 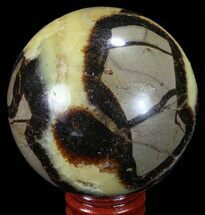 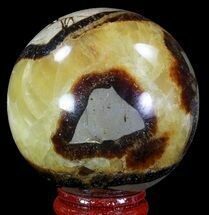 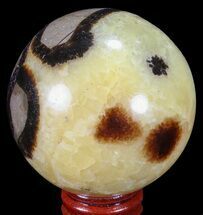 This is a 3.4" wide, polished sphere of septarian. 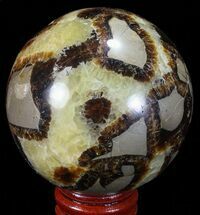 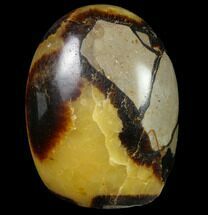 The septarian comes from the Betsiboka Region of Madagascar and was deposited during the Jurassic period. 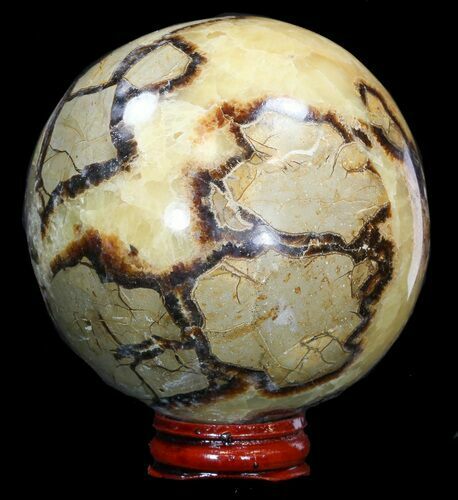 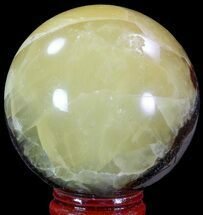 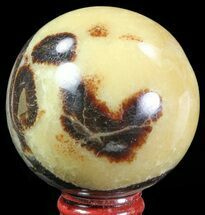 The polishing reveals a beautiful pattern, often causing these spheres to be called dragon spheres as they remind people of what they imagine dragon skin looking like. 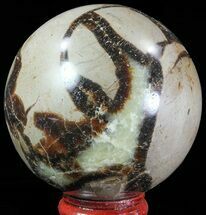 Comes with display stand.